Dermatology Center of the Rockies (Longmont) - Book Appointment Online! 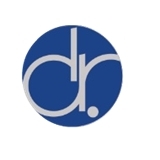 Dermatology Center of the Rockies provides quality, comprehensive medical and cosmetic dermatology services to people of all ages. Board Certified Dermatologist Kristin M. Baird, MD, and her professional staff have been serving communities along the Front Range for over 10 years with appointments available in Longmont, Estes Park, and Frederick Colorado. As a patient at Dermatology Center of the Rockies, your concerns will be addressed by a caring, dedicated and personable staff in a welcoming state of the art facility. We strive to exceed your expectations and look forward to working with you.